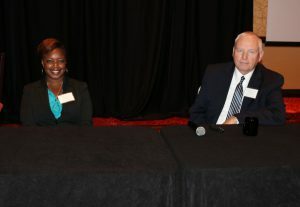 Day One of the Illinois Food Safety Symposium was a success. 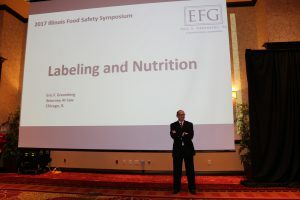 Over 200 professionals gathered in Bloomington, Illinois to learn the latest in food safety. 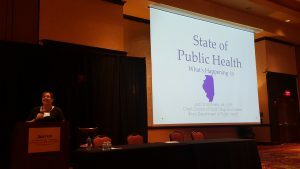 Previously, Illinois Department of Public Health (IDPH) sponsored 16 years of the symposium. 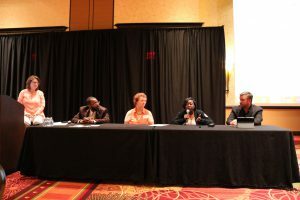 In 2016 due to budget cuts, IDPH was unable to run the Symposium. 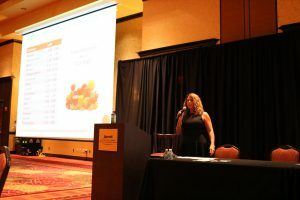 ConnectFood took the mantle this year by securing the expert speakers and hosting the conference center. 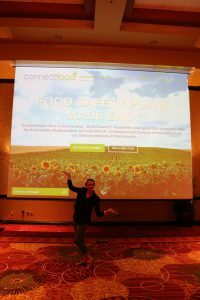 Molly Lamb, Deputy Director, IDPH, passed the virtual baton to Matt Botos, CEO, ConnectFood. 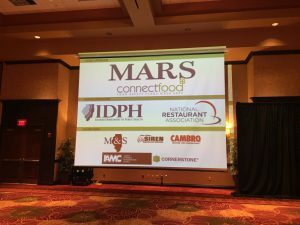 Even though ConnectFood sponsored the symposium, there was support from IDPH. 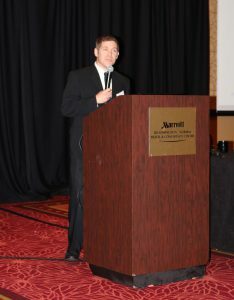 Matthew Botos introduced two vendors during a vendor showcase. The vendor showcase was new at this year’s symposium and allowed each to introduce themselves and new products in a 5-minute spotlight. 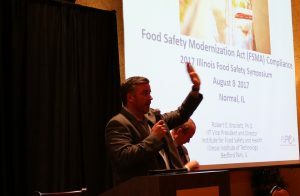 Robert Brackett, Director, Institute of Food Safety and Health, reviewed the foundation of the Food Safety Modernization Act and its seven rules. He reminded us that food safety was first developed with the average consumer in mind. 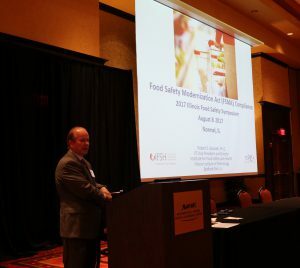 Now under FSMA, food facilities must consider any at-risk populations as consumers of their product. 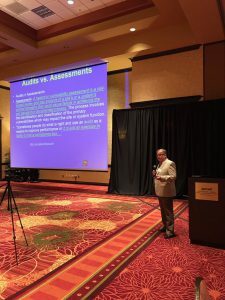 Dave Park, Principal, Food Defense, LLC, discussed the history of food defense, food fraud, intentional adulteration and the comparison to HACCP. In a vulnerability assessment and when probability and severity of an intentional adulteration event is evaluated, the focus is on high severity and low probability. 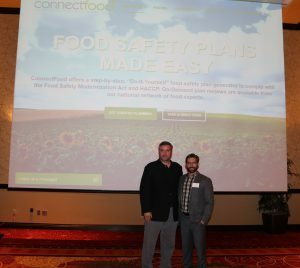 Chris Metz, CTO, ConnectFood, demonstrated the ConnectFood food safety plan builder. While ConnectFood was started to help the food manufacturing sector, the food safety plan builder is being used by restaurants and cafeterias to create food safety plans there. The agenda is packed for Day Two, and I can’t wait to learn more! The ConnectFood website has free resources, and the folks at ConnectFood are here to help! Contact us. August 9, 2017 /by Kathy Knutson, Ph.D.